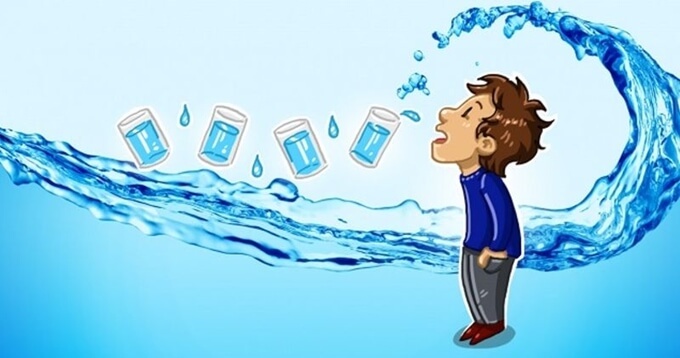 Around two thirds of the human body is comprised of water, so you would think that remaining hydrated would be high on everyone’s priority list. But even the most health-conscious amongst us are often guilty of diving feet first into the latest health food fad, yet are stinting on the H2O and leaving our bodies dehydrated. The first world problems of not drinking enough of our favorite mineral water are one thing, but in other parts of the world, the availability of properly treated water can mean life or death for whole communities. Let’s take a look at why pure water is so important to our health and survival. Busy suburban Moms working out at the gym might seem a world away from families struggling to survive in Somalia but the common factor is they all need water to survive. Water regulates your body temperature, delivers oxygen, forms saliva, lubricates the joints, facilitates cell growth, and helps you fight off infection by flushing toxins out of your system. And the effects of dehydration are not just physical – three quarters of your brain is comprised of water, so you cannot expect it to operate properly if your body is dehydrated. The effects have even been likened to drunkenness, and if you suffer from headaches or dizziness, you will often find it is because you need to drink more water. If you do not drink enough, your blood becomes thicker, causing your heart to work harder and potentially leading to serious problems in the long term. We often take it for granted that fresh drinkable water is always available, but this is only thanks to the technological advances in water treatment that we enjoy in the western world. Untreated water contains a wide assortment of additional ingredients that you really do not want in your drinking glass. These include bacteria such as e-coli, giardia lamblia and cryptosporidium, not to mention nitrates, herbicides and pesticides. Contaminants like these are a primary cause of gastrointestinal complaints such as stomach pains, nausea, vomiting and diarrhea. Prolonged exposure can lead to life-threatening conditions. We are lucky to live in a society where pure water is available to everyone. Make the most of the benefits, and ensure that you and your family get into the routine of drinking enough fresh water every day. About the Author: Sally Phillips is an author and concerned citizen who feels it is her mission to make people aware of the facts behind the many issues they face in their daily lives. The Facts Are – Fluoride is Highly Neurotoxic .. & .. In Your Bottled Water!